The new modern testing and inspection technological institute, Shanghai Academy of Public Measurement (APM), embodies the pursuit of modernity with new technology, new ideas, and new mechanisms.Zhangjiang Base of the APM is responsible for the measurement of scientific research as well as the standard establishment and values transfer in order to maintain normal social production activities. It will perform these tasks while handling safety testing on medicine, food, and industrial goods in order to sustain public safety and health of the people. APM will also conduct research and analysis on the main substances damaging the environment in order to provide ecological protection. In addition to monitoring harmful substances, it will conduct micro-test analysis of different substances to assist in the development of new materials, new disciplines, and new industries. It will also support the government administration with technical support in order to assist law enforcement. Since the completion of the first-phase project construction, the following prestigious units have become the main technical pillars of APM; the Shanghai Institute of Measurement and Testing Technology, the East China National Center of Metrology, the Testing Center of Shanghai China the Shanghai Institute for Food and Drug Control; and the Shanghai Food and Drug Packaging Material Control Center. 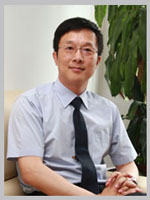 APM represents a historic opportunity in which resources and function have been integrated, and will strive to create a sound technical environment for new industries and manufacturing industries at home and abroad to base themselves while providing a better service for the East China and the Yangtze River Economic Belt.APM is a technology window for the world. It will establish extensive contacts with international authorities for technological exchange, data comparison and mutual report recognition, increase international exchange and cooperation, promote international trade, and make due contributions for the prosperity of the economy.